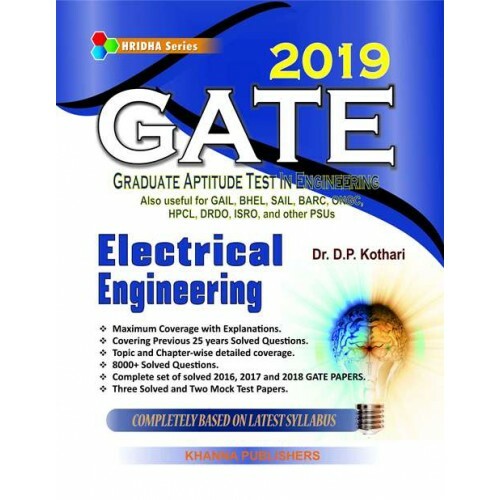 Preface GATE Electrical Engineering, as a complete resource helps the aspirants be ready with conceptual understanding. It is an outcome of classroom tested notes by the author, refined over the years while teaching and guiding students. The number of aspirants appearing for the GATE examination is increasing significantly every year, owing to multifaceted opportunities open to any good performer. Apart from giving the aspirant a chance to pursue an M.Tech. from institutions like the IITs/NITs., a good GATE score can be highly instrumental in landing the candidate a plush public sector job, as many PSUs are recruiting graduate engineers on the basis of their performance in GATE. In GATE only score matters. The students must have their own strategy, both for preparation and writing the examination and have to practice many difficult questions to score high. They study most part of the course design their graduation, but still everything has to be revised and requires practice. From a practice point of view, this book is very useful. In this book, they type, level and length of problems have been kept relevant and as close to the recent GATE trends as possible. In order to have an overview of the examination patters, the book provides solved previous years question with step by step solution sot heat students can practice those questions straightway. It is advised to the students that they should solve questions without looking into the solutions given in the book. It is good to struggle with the difficult questions which develop problems solving skills. A large number of diagrams given in the book provide ease in understanding the concepts, which make the reading more fruitful. The book is designed in such a manner that even average students can score high percentage if they practice more and more based on the fundamental concepts. SALIENT FEATURES *Written in simple and lucid language *Maximum coverage/Explanations/Illustrations as per latest syllabus * Facts and formulae given in each section * Unit-wise detailed coverage * 2016 and 2017 solved papers * Practice paper. Although every attempt has been made to make this book student friendly. In conclusion, we wish to appreciate any helpful criticisms and suggestions from teachers and students, we shall definitely incorporate all those suggestions, and improve the usefulness of the book.